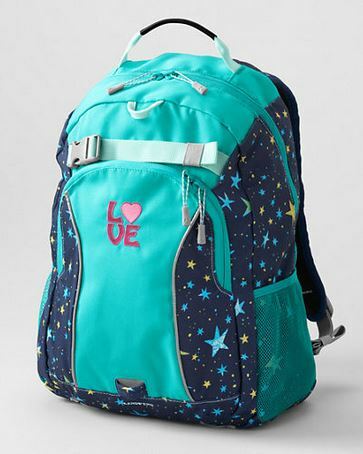 I know many of you might be looking for backpacks and lunchbags for back to school. There is a nice sale at Land’s End right now on these bags- you can get 30% off the regular prices. The Land’s End products are not inexpensive but they are highly durable and great quality. We use a Land’s End for soccer stuff and it has held up extremely well for probably 3 years now. The shipping is a stinker at $8.00. I believe you can only use one coupon code per order but shipping is free on a $50 order if you need some other items. You can get 30% off automatically when you click this link and add the items to your cart. If for some reason you don’t see the discount at checkout, use code: GREATDEAL and pin: 418. Was this a 1-day promotion?? Anabel- it was posted 4 days ago. It may have expired by now. It is usually best to shop right away as coupon codes and sales don’t tend to run longer then a day or two.